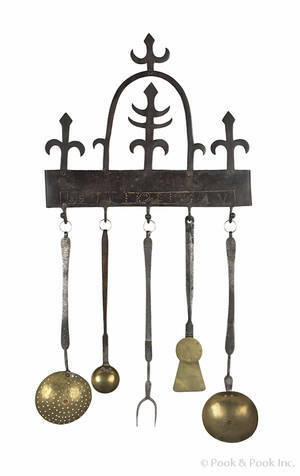 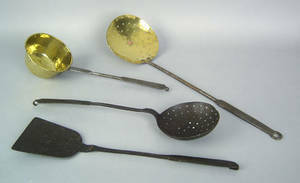 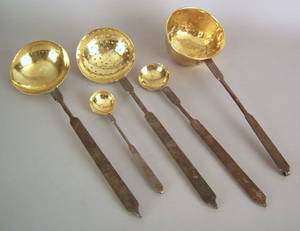 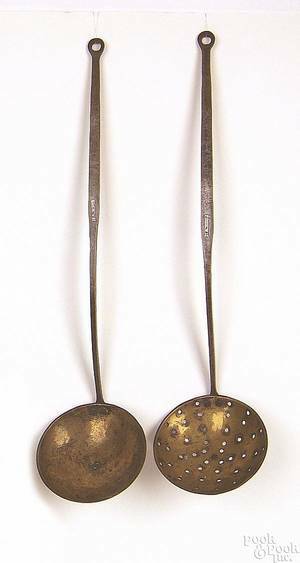 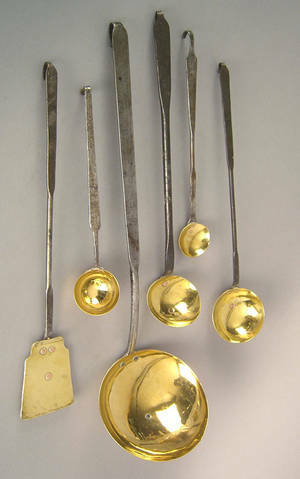 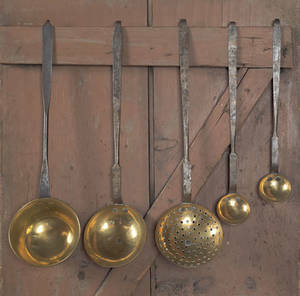 Wrought iron and brass to include a ladle, strainer, 3-pc. 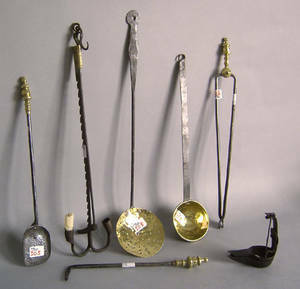 fireplace tool set, trammel, and fat lamp. 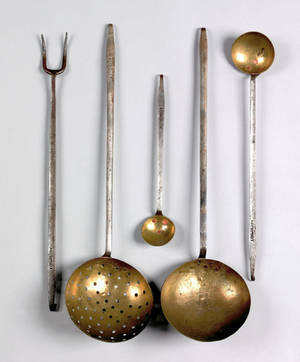 Assembled five-piece wrought iron and brass utensil set, 19th c.
Set of three wrought iron and brass utensils, early 19th c.
Pair of wrought iron and brass utensils, mid 19th c.
Four wrought iron and brass utensils, 19th c.